The company that owns Tim Hortons, Popeyes, Burger King and other eateries posts lower profits, raises prices for some products at Tim Hortons, and announces plans to expand its ubiquitous coffee and doughnuts chain into Spain. 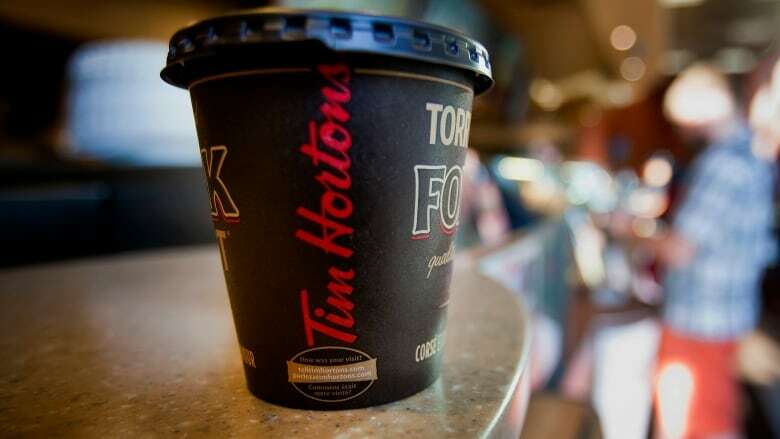 The company that owns Tim Hortons, Popeyes, Burger King and other eateries on Wednesday posted lower profits, raised prices for some products at Tim Hortons, and announced plans to expand its ubiquitous coffee and doughnuts chain into Spain. Restaurant Brands International said it had a profit of $89.5 million in the three months ended June 30. It had a $90.9-million profit in the same period a year ago. Total revenue at all three chains came in at $1.13 billion, a rise from $1.04 billion a year ago, boosted by the acquisition of Popeyes. Sales increased at Burger King, but declined at Popeyes and Tim Hortons during the quarter compared to last year. The quarterly results come as RBI faces an internal revolt by Tim Hortons franchisees in Canada and the U.S. who have accused the company's head office of penny pinching, driving up their expenses and overall mismanagement. RBI has denied the allegations. CEO Daniel Schwartz took note of the efforts of all RBI franchisees as the company reported its second-quarter financial results. "We appreciate all of the hard work from our franchisees and their teams to deliver a great guest experience, and we are confident in our ability to create further value for all of our stakeholders for many years to come," he said. The chain announced it has entered into a joint venture agreement to bring Tim Hortons to Spain in the current fiscal year. Since acquiring Tim Hortons, RBI has made similar deals to bring the Canadian brand to Mexico, Great Britain and the Philippines. The chain also announced a mild price hike affecting some hot beverage and breakfast menu items effective immediately. In notes posted on the cash register, the chain blamed "rising operational costs" for the decision to raise prices by about 10 cents on many items. An earlier version of this story reported that RBI profits rose compared to last year. In fact they were slightly lower.